Siding is one of the most popular ways to lower costs, and add to the curb appeal of your home. Design and beauty aside, some siding systems are designed to be energy efficient, as well as to eliminate the growth of bacteria and mold. Siding has the ability to reform the most ordinary looking home into an extraordinary and classy feel. HVH Remodeling is a full-service siding, hardieplank, and replacement windows company based in the city of Spring, TX. We provide our valued clients with a full selection of siding choices which includes the full array of Hardie Siding choices. We also install windows, rain gutters, and provide exterior painting services. No job is too big or too small. We address both Residential and Commercial Needs. 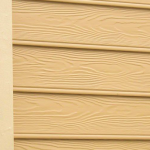 Healthier: Some Siding Materials are Designed to prevent the growth of mold & bacteria. 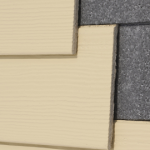 Hardieplank siding scores well in all areas contributing to a “greener” environment. Insulation: Siding is a wise addition/component of insulation, adding to Energy Savings which will result in lower electric bills. Siding offers a universal protection from the elements – Wind, Heat, Cold, Snow, and Rain. Pest Control: Some siding material are also designed to Keep Pests Out, again, helping to cut down pest control expenses, if any. This is also great for businesses. Cost Effective: Siding by far, offers the biggest return on investment. Hardie Siding is highly resistant to the elements and will serve you well during the wild swings of our Houston weather. The material, constructed of durable fiber cement, will look good for many decades and won’t rot on you. James Hardie Siding Products come with one of the best warranties in the industry. Their siding products come with a 30 year warranty while the trim warranty lasts up to 15 years. We have other home exterior options available in the event you were looking to compare the James Hardie Siding option to some of our other home exterior siding options.